BACKGROUND CONTEXT: In 2008, the Bone and Joint Decade 2000-2010 Task Force on Neck Pain and Its Associated Disorders (Neck Pain Task Force) found limited evidence on the effectiveness of manual therapies, passive physical modalities, or acupuncture for the management of whiplash-associated disorders (WAD) or neck pain and associated disorders (NAD). PURPOSE: This review aimed to update the findings of the Neck Pain Task Force, which examined the effectiveness of manual therapies, passive physical modalities, and acupuncture for the management of WAD or NAD. STUDY DESIGN/SETTING: This is a systematic review and best evidence synthesis. SAMPLE: The sample includes randomized controlled trials, cohort studies, and case-control studies comparing manual therapies, passive physical modalities, or acupuncture with other interventions, placebo or sham, or no intervention. OUTCOME MEASURES: The outcome measures were self-rated or functional recovery, pain intensity, health-related quality of life, psychological outcomes, or adverse events. METHODS: We systematically searched five databases from 2000 to 2014. Random pairs of independent reviewers critically appraised eligible studies using the Scottish Intercollegiate Guidelines Network criteria. Studies with a low risk of bias were stratified by the intervention's stage of development (exploratory vs. evaluation) and synthesized following best evidence synthesis principles. Funding was provided by the Ministry of Finance. RESULTS: We screened 8,551 citations, and 38 studies were relevant and 22 had a low risk of bias. Evidence from seven exploratory studies suggests that (1) for recent but not persistent NAD grades I-II, thoracic manipulation offers short-term benefits; (2) for persistent NAD grades I-II, technical parameters of cervical mobilization (eg, direction or site of manual contact) do not impact outcomes, whereas one session of cervical manipulation is similar to Kinesio Taping; and (3) for NAD grades I-II, strain-counterstrain treatment is no better than placebo. Evidence from 15 evaluation studies suggests that (1) for recent NAD grades I-II, cervical and thoracic manipulation provides no additional benefit to high-dose supervised exercises, and Swedish or clinical massage adds benefit to self-care advice; (2) for persistent NAD grades I-II, home-based cupping massage has similar outcomes to home-based muscle relaxation, low-level laser therapy (LLLT) does not offer benefits, Western acupuncture provides similar outcomes to non-penetrating placebo electroacupuncture, and needle acupuncture provides similar outcomes to sham-penetrating acupuncture; (3) for WAD grades I-II, needle electroacupuncture offers similar outcomes as simulated electroacupuncture; and (4) for recent NAD grades III, a semi-rigid cervical collar with rest and graded strengthening exercises lead to similar outcomes, and LLLT does not offer benefits. CONCLUSIONS: Our review adds new evidence to the Neck Pain Task Force and suggests that mobilization, manipulation, and clinical massage are effective interventions for the management of neck pain. It also suggests that electroacupuncture, strain-counterstrain, relaxation massage, and some passive physical modalities (heat, cold, diathermy, hydrotherapy, and ultrasound) are not effective and should not be used to manage neck pain. The risk of serious adverse events associated with manipulation was extremely low. Collars, transcutaneous electrical nerve stimulation (TENS), ultrasound, heat, and electrical muscle stimulation were equally or less effective than other interventions. In 2008, the Neck Pain Task Force did not organize their findings according to the stages of development of interventions. The recent publication of the IDEAL framework, which classifies studies according to their stage of development, provides a useful framework to organize the evidence. [8, 9] Exploratory studies assess interventional efficacy, collect short-term outcomes, and prepare for designing evaluation studies. Exploratory studies do not provide evidence of effectiveness. In contrast, evaluation studies provide confidence in the intervention’s effectiveness or comparative effectiveness to a standard of care. [8, 9] Therefore, exploratory 1 studies do not provide evidence of effectiveness and need to be considered separately when synthesizing evidence in a systematic review. Moreover, the findings of exploratory studies need to be validated in evaluation studies. The purpose of our systematic review was to update the findings of the Neck Pain Task Force  on the effectiveness of manual therapies, passive physical modalities, and acupuncture for the management of WAD and NAD. We registered our protocol with the International Prospective Register of Systematic Reviews (PROSPERO) in 2013 (CRD4201300XXXX, CRD4201300XXXX, CRD4201300XXXX, CRD4201300XXXX). Population: Our review targeted studies of adults and children with WAD or NAD grades I-III, as previously classified by the Quebec Task Force and the Neck Pain Task Force, respectively (Table 2 - online). [10, 11] We excluded studies of neck pain due to major structural pathology (e.g., fractures, dislocations, spinal cord injury, infection, neoplasms, systemic disease). Comparisons: We included studies that compared manual therapies, passive physical modalities, or acupuncture to other interventions, waiting list (wait and see), placebo/sham intervention, or no intervention. Outcomes: Studies had to include one of the following outcomes to be elgigiSelf-rated or functional recovery, clinical outcomes (e.g., pain, disability), psychological symptoms, administrative outcomes, and/or adverse events. We used a two-phase screening process to select eligible studies. In phase one screening, random pairs of independent reviewers screened citation titles and abstracts to determine the eligibility of studies. Phase one screening resulted in studies being classified as relevant, possibly relevant, or irrelevant. The same paired reviewers independently reviewed the manuscripts of possibly relevant studies in phase two screening to make a final determination of eligibility. Reviewers met to resolve disagreements and reach consensus on the eligibility of studies. We involved a third reviewer if consensus could not be reached. Eligible studies were critically appraised by random pairs of independent, trained reviewers using the Scottish Intercollegiate Guidelines Network (SIGN) criteria for RCTs, cohort studies, and case-control studies. All reviewers were trained in the evaluation studies using the SIGN criteria. Consensus between paired reviewers was reached through discussion, with an independent third reviewer if necessary. Authors were contacted if additional information was needed. After critical appraisal, studies with a low risk of bias were included in our evidence synthesis. The SIGN criteria were used to qualitatively evaluate the presence and impact of selection bias, information bias, and confounding on the results of a study. We did not use a quantitative score or a cutoff point to determine the internal validity of studies. Rather, the SIGN criteria were used to assist reviewers in making an informed overall judgment on the internal validity of studies. Specifically, we critically appraised the following methodological aspects of a study: 1) clarify of the research question; 2) randomization method; 3) concealment of treatment allocation; 4) blinding of treatment and outcomes; 5) similarity of baseline characteristics between/among treatment arms; 6) co-intervention contamination; 7) validity and reliability of outcome measures; 8) follow-up rates; 9) analysis according to intention to treat principles; and 10) comparability of results across study sites (where applicable). After critical appraisal, studies judged to have adequate internal validity were deemed scientifically admissible (i.e. without high risk of bias) and were included in our data (results, evidence) synthesis. We stratified our results by the type of disorder (i.e., WAD or NAD grades I-III) and duration [i.e., recent (<3 months), persistent (≥3 months), variable duration (study does not distinguish between recent and persistent)]. To facilitate translation of evidence into clinically relevant findings, we stratified studies according to the IDEAL framework (exploratory versus evaluation studies). [8, 9] Exploratory studies investigate the short term efficacy (1–2 days) of interventions provided in 1–2 sessions. The inter-rater agreement for screening of articles was: 1) k=0.94 (95% CI 0.90; 0.98) for manipulation, mobilization, and traction; 2) k=0.95 (95% CI 0.91, 0.99) for soft tissue therapy; 3) k=0.91 (95% CI 0.86, 0.97) for passive physical modalities; and 4) k=0.93 (95% CI 0.84, 1.00) for acupuncture. The percentage agreement for article admissibility during independent critical appraisal was 84.2% (32/38). All studies with a low risk of bias used clear research questions, appropriate randomization, valid and reliable outcome measures, and intention to treat analysis where applicable (Table 5 - online). Most studies adequately fulfilled the following criteria: proper allocation concealment (20/22), proper blinding procedures where possible (20/22), and similarity at baseline across groups (17/22). [27–49] The follow-up rate was above 75% in all but one study  (Table 5 - online). The main methodological limitations of studies with a high risk of bias included: poor or unknown randomization methods, poor or unknown allocation concealment, clinically important differences in baseline characteristics with no statistical adjustment in the analysis, likely attrition bias, and no report of intention to treat analysis. [54–66] We contacted the authors of five RCTs for additional information but none responded. WAD We found no exploratory studies with a low risk of bias for the management of WAD. Grades I-II WAD of Variable Duration A 6–week course of needle electroacupuncture or simulated electroacupuncture provides similar disability (NDI) and health-related quality of life (SF-36) outcomes for WAD grade I-II. Needle electroacupuncture led to statistically but not clinically significant changes in pain intensity (VAS) at three and six months follow-up. Electroacupuncture involved needle electroacupuncture at specific points while simulated electroacupuncture involved deactivated electroacupuncture on needled points 20–30 mm away from these specific points. A soft tissue therapy intervention combining ischemic compression, strain-counterstrain, and muscle energy technique is associated with statistically but not clinically significant differences in pain (VAS), disability (NDI), and lateral flexion compared to muscle energy technique alone. One group received integrated neuromuscular inhibition technique (i.e., ischemic compression, strain-counterstrain, and muscle energy technique) to the upper trapezius while the other group received muscle energy technique alone to the upper trapezius. Compared to a self-care book, Swedish and/or clinical massage with self-care advice is superior for reducing neck disability (NDI) and symptom bothersomeness (NRS) in the short-term and for reducing symptom bothersomeness in the long-term for patients with persistent neck pain. The massage group received various Swedish and clinical massage techniques at the discretion of the practitioner with verbal self-care advice, while the control group received information on neck pain causes, associated symptoms, exercises, posture, and treatment options. Cupping massage and progressive muscle relaxation lead to similar changes in pain (VAS), pain perception, disability (NDI), psychological outcomes and quality of life (SF-36) in patients with persistent NAD. Participants randomized to cupping massage attended a one-hour workshop on the home-based cupping massage technique (using a cupping glass and massage oil). Progressive muscle relaxation involved one hour of instruction by a psychologist on home-based techniques to achieve deep muscle relaxation, relieve muscle tension, and improve general well-being. Both groups continued independent home care twice per week for 12 weeks. LLLT is not effective in reducing pain (VAS) or disability (NDI) compared to an inactivated laser device for the management of persistent cervical myofascial pain syndrome. Participants were randomized to receive LLLT to three trigger points bilaterally using either an active device (wavelength of 830–nm, frequency 1000 Hz, power output 58mW/cm2, dose 7J per point) or a device that was not activated. TENS and a multimodal soft tissue therapy program (neuromuscular technique, post isometric stretching, spray and stretch, and strain-counterstrain) lead to similar changes in pain (VAS), disability (NDI), and health-related quality of life (SF-12) at one or six month follow-up for persistent NAD I-II. Participants were randomized to: 1) TENS (80 Hz, ≤150μs pulse duration); or 2) multimodal therapy that included a neuromuscular technique, post-isometric stretching, spray and stretch, Jones technique (i.e., strain counterstrain). Both groups received a home program consisting of postural skills and exercises. The evidence does not support the use of needle acupuncture for the management of persistent NAD I-II. Two studies found that traditional Chinese medicine acupuncture and sham-penetrating acupuncture (same procedure as the needle acupuncture group but needles were superficially inserted 1cm lateral to traditional acupuncture points) lead to similar outcomes. [47, 48] There were statistically significant but not clinically important differences in pain (VAS) and disability (Northwick Park Questionnaire) favouring traditional Chinese medicine acupuncture. [47, 48] Moreover, Western acupuncture provides statistically but not clinically significant improvements in pain (VAS), disability (NDI), and health-related quality of life (SF-36) compared to non penetrating placebo electroacupuncture for persistent NAD I-II. Western acupuncture involved needling of locally tender and traditional points, while the placebo group received inactivated electrodes to acupuncture points. Grade III NAD of Variable Duration Adding intermittent cervical traction to a multimodal program of care (postural education, manipulation or mobilization, exercise and home exercise) provides no additional benefits in pain (NRS) or disability (NDI) compared to sham cervical traction with the same multimodal care up to four weeks follow-up for the management of NAD grade III. Patients were treated an average of seven visits over an average of 4.2 weeks. Recent-onset Grade III NAD Participating in a graded strengthening exercise program or wearing a semi-rigid cervical collar for six weeks provide similar improvements in arm pain (VAS), neck pain (VAS), or disability (NDI) to patients with recent NAD III. Both treatments were superior to advice. Participants were randomized to: 1) three weeks of wearing a semi hard cervical collar and prescribed rest followed by three weeks of weaning from the collar; 2) advice to continue daily activities; or 3) six weeks of supervised graded strengthening exercises for the neck and shoulder. Since 2008, the literature on the effectiveness of manual therapies, passive physical modalities, and acupuncture for neck pain has advanced. Our review adds to the existing knowledge base by clarifying the effectiveness of acupuncture, manipulation, mobilization, soft tissue therapies, LLLT, and taping for NAD grades I-II. There are recent studies with a low risk of bias investigating the effectiveness of a cervical collar, LLLT, and traction for the management of NAD grade III. Key findings from our synthesis of the evidence are outlined in Table 8. Exploratory studies: Based on exploratory evidence, we found that thoracic manipulation provides benefit to individuals with recent NAD grades I-II, but is no better than placebo for treating persistent NAD grades I-II. We found that the type of neck mobilization may not impact the outcomes of patients. We also found that one session of cervical and cervico thoracic manipulation is as effective as one week of kinesiotape over the neck in the short-term for persistent NAD grades I-II. For soft tissue therapy, we found that strain counterstrain is not efficacious for NAD. Exploratory studies: We found that strain-counterstrain and ischemic compression provide no added benefit to muscle energy technique for recent NAD grades I-II. For persistent NAD grades I-II, we found that manipulation provides added benefit to traditional Chinese massage, but not to high-dose supervised exercises. We also found that home-based cupping massage leads to similar outcomes to home-based progressive muscle relaxation for persistent NAD grades I-II. However, it is important to note that the progressive muscle relaxation used in this study does not reflect how the intervention would be delivered in clinical practice. Specifically, the trial by Lauche et al. investigated progressive muscle relaxation performed by patients at home after they were instructed by a psychologist during a one hour session . Finally, we found that LLLT was not effective for recent onset NAD grade III and traction does not provide added benefit to a multimodal program for NAD III. Evaluation studies: We found that cervical manipulation and cervical mobilization lead to similar outcomes in individuals with recent NAD grades I-II. We also found that there were no serious adverse events reported in randomized clinical trials on manipulation. We did not find any studies that compared different techniques of cervical manipulation; therefore, it is unclear if specific cervical manipulation techniques are more effective than others. Evaluation studies: We found that relaxation and/or clinical massage added benefit to self-care advice when compared to self-care advice alone for persistent NAD grades I-II. In 2008, the Neck Pain Task Force reported that relaxation massage was not effective (equal to sham acupuncture) for chronic neck pain. While these results may appear contradictory, it is possible that the clinical (not relaxation) massage provides benefit to patients with persistent neck pain. We found new evidence suggesting that LLLT is not effective for persistent NAD grades I-II. However, when combining the new evidence with Neck Pain Task Force findings from five studies [69–73], the preponderance of evidence suggests that clinic-based LLLT is effective for persistent NAD. For acupuncture, we found that electroacupuncture is not effective for WAD I-II, while Western acupuncture and needle acupuncture is not effective for persistent NAD I-II. These new findings contradict the evidence available to the Neck Pain Task Force , which found that needle acupuncture, when added to routine general medical care, may provide short-term benefits to patients with persistent neck pain. However, the Neck Pain Task Force warned that this result may be attributed to favourable patients’ expectations, since all participants in this study were patients of physicians who practice acupuncture. Overall, the updated evidence suggests that acupuncture may not be effective for the management of recent or persistent neck pain. It is important to note that acupuncture was compared to needling interventions where skin was penetrated, which may have a physiological effect; studies with non-penetrating sham/placebo interventions are needed. We did not find new evidence on the effectiveness of ultrasound, diathermy, heat therapy, electrical muscle stimulation, or magnetic necklaces. The Neck Pain Task Force found that TENS provides no clinically important benefit compared to placebo. [75, 76] Our review found new evidence that TENS provides similar outcomes to a multimodal program of care focused on soft tissue therapy. However, as the effectiveness of this multimodal program of care is unknown, this new evidence cannot be used to support or refute the findings of the Neck Pain Task Force. Overall, there is a lack of evidence supporting the effectiveness of TENS in this population. Unlike previous systematic reviews, we stratified admissible studies into exploratory (efficacy) and evaluation (comparative effectiveness) according to the IDEAL framework to facilitate the clinical interpretability of results. [8, 9] Exploratory studies are used to develop well-informed hypotheses about the effectiveness of promising interventions that need to be tested in evaluation studies. Our review differentiates studies by the nature of their design for the purpose of contextualizing the dose and duration of outcomes to reflect clinical practice. It is important for clinicians, policy makers, and patients to place more emphasis on the results of the evaluation studies, since they provide confidence in the intervention’s effectiveness or comparative effectiveness to a standard of care. There should be caution in including results from exploratory studies into clinical guidelines or practice pending more robust evaluation studies. Our review also has limitations. We only searched the English literature, which may have excluded some relevant studies, but this is an unlikely source of bias. [77–81] Qualitative studies that explored the lived experience of patients were not included. Thus, this review cannot comment on how patients valued and experienced their exposure to manual therapies, passive physical modalities, or acupuncture. Since 2008, there is new scientific evidence on the effectiveness of manual therapies, passive physical modalities, and acupuncture informing their use for the management of neck pain. Our update of the Neck Pain Task Force suggests that mobilization, manipulation, and clinical massage are effective interventions for the management of neck pain. It also suggests that electroacupuncture, strain-counterstrain, relaxation massage, and other passive physical modalities (heat, cold, diathermy, hydrotherapy, ultrasound) are not effective and should not be used to manage neck pain. This study was funded by the Ontario Ministry of Finance and the Financial Services Commission of Ontario (RFP No. : OSS_00267175). This research was undertaken, in part, thanks to funding from the Canada Research Chairs program to Dr. Pierre Côté, Canada Research Chair in Disability Prevention and Rehabilitation at the University of Ontario Institute of Technology. The funding agencies were not involved in the collection of data, data analysis, interpretation of the data, or drafting of the manuscript. The authors acknowledge the invaluable contributions to this review from: Angela Verven, J. David Cassidy, Doug Gross, Gail Lindsay, John Stapleton, Michel Lacerte, Mike Paulden, Murray Krahn, Patrick Loisel, Poonam Cardoso, Richard Bohay, Roger Salhany, and Shawn Marshall. The authors also thank Trish Johns-Wilson at the University of Ontario Institute of Technology for her review of the search strategy. Miller J, Gross A, D'Sylva J, Burnie SJ, Goldsmith CH, Graham N, et al. Cote P, Cassidy JD, Carroll L.
The Saskatchewan Health and Back Pain Survey. 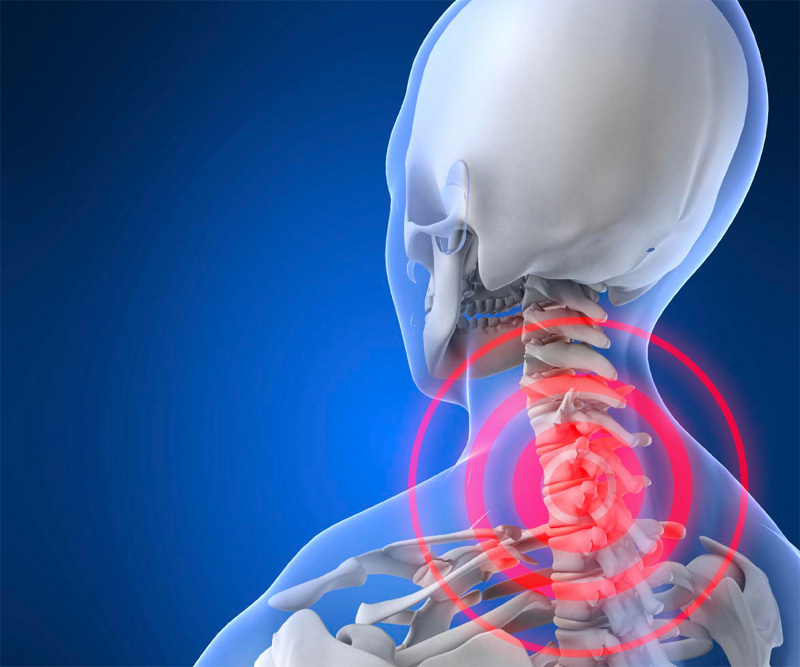 The prevalence of neck pain and related disability in Saskatchewan adults. Spine (Phila Pa 1976) 1998;23:1689-98. The prevalence of neck pain in the world population: a systematic critical review of the literature. Gross AR, Kay T, Hondras M, et al. Manual therapy for mechanical neck disorders: a systematic review. Guzman J, Haldeman S, Carroll LJ, et al. Carroll LJ, Hurwitz EL, Cote P, et al. Research priorities and methodological implications: the Bone and Joint Decade 2000-2010 Task Force on Neck Pain and Its Associated Disorders. Spine (Phila Pa 1976) 2008;33:S214-20. Ergina PL, Barkun JS, McCulloch P, Cook JA, Altman DG. McCulloch P, Cook JA, Altman DG, Heneghan C, Diener MK. Spitzer WO, Skovron ML, Salmi LR, et al. Spine (Phila Pa 1976) 1995; 20: 1S-73S. Guzman J, Hurwitz EL, Carroll LJ, et al. Biostatistics: The Bare Essentials, 3rd Edition. Sampson M, McGowan J, Cogo E, et al. EndNote X6 Online User Guide. A new system for grading recommendations in evidence based guidelines. van der Velde G, van Tulder M, Cote P, et al. The sensitivity of review results to methods used to appraise and incorporate trial quality into data synthesis. Spine (Phila Pa 1976) 2007; 32: 796-806. Best evidence synthesis: an intelligent alternative to meta-analysis. Abrams KR, Gillies CL, Lambert PC. Meta-analysis of heterogeneously reported trials assessing change from baseline. Follmann D, Elliott P, Suh I, Cutler J.
Variance imputation for overviews of clinical trials with continuous response. Carroll LJ, Jones DC, Ozegovic D, Cassidy JD. Lauche R, Langhorst J, Dobos GJ, Cramer H.
Clinically meaningful differences in pain, disability and quality of life for chronic nonspecific neck pain - a reanalysis of 4 randomized controlled trials of cupping therapy. McCarthy MJ, Grevitt MP, Silcocks P, Hobbs G.
Klein R, Bareis A, Schneider A, Linde K.
Strain-counterstrain to treat restrictions of the mobility of the cervical spine in patients with neck pain: a sham-controlled randomized trial. Nagrale AV, Glynn P, Joshi A, Ramteke G.
The efficacy of an integrated neuromuscular inhibition technique on upper trapezius trigger points in subjects with non-specific neck pain: a randomized controlled trial. J Man Manip Ther 2010;18:37-43. Sherman KJ, Cherkin DC, Hawkes RJ, Miglioretti DL, Deyo RA. Randomized trial of therapeutic massage for chronic neck pain. Lauche R, Materdey S, Cramer H, et al. Effectiveness of home-based cupping massage compared to progressive muscle relaxation in patients with chronic neck pain -- a randomized controlled trial. Lin JH, Shen T, Chung RC, Chiu TT. The effectiveness of Long's manipulation on patients with chronic mechanical neck pain: a randomized controlled trial. Dundar U, Evcik D, Samli F, Pusak H, Kavuncu V.
The effect of gallium arsenide aluminum laser therapy in the management of cervical myofascial pain syndrome: a double blind, placebo-controlled study. Escortell-Mayor E, Riesgo-Fuertes R, Garrido-Elustondo S, et al. Konstantinovic LM, Cutovic MR, Milovanovic AN, et al. Low-level laser therapy for acute neck pain with radiculopathy: a double-blind placebo-controlled randomized study. Kuijper B, Tans JT, Beelen A, Nollet F, de Visser M.
Cervical collar or physiotherapy versus wait and see policy for recent onset cervical radiculopathy: randomised trial. Saavedra-Hernandez M, Castro-Sanchez AM, Arroyo-Morales M, et al. Short term effects of kinesio taping versus cervical thrust manipulation in patients with mechanical neck pain: a randomized clinical trial. J Orthop Sports Phys Ther 2012;42:724-30. Masaracchio MC, Hellman M, Hagins M, et al. Short-term combined effects of thoracic spine thrust manipulation and cervical spine nonthrust manipulation in individuals with mechanical neck pain: a randomized clinical trial. J Orthop Sports Phys Ther 2013;43:118-27. Cleland JA, Whitman J, Eberhart S, et al. Short-term response of thoracic spine thrust versus non-thrust manipulation in patients with mechanical neck pain: preliminary analysis of a randomized clinical trial. J Manual Manipulat Ther 2007;14:172. The immediate effects of mobilization technique on pain and range of motion in patients presenting with unilateral neck pain: a randomized controlled trial. Archives of physical medicine and rehabilitation [serial on the Internet]. 2009; 90(2). Immediate effects of the central posteroanterior mobilization technique on pain and range of motion in patients with mechanical neck pain. Sillevis RC, Hellman M, Beekhuizen K.
Immediate effects of a thoracic spine thrust manipulation on the autonomic nervous system: a randomized clinical trial. J Manual Manipulat Ther 2010;18:181-90. Leaver A, Herbert R, Latimer J, et al. A randomized controlled trial comparing manipulation with mobilization for recent onset neck pain. Arch Phys Med Rehab 2010; 91(9). Young I, Cleland J, Aguilera A, et al. Manual therapy, exercise, and traction for patients with cervical radiculopathy: A randomized clinical trial. Cameron ID, Wang E, Sindhusake D.
A randomized trial comparing acupuncture and simulated acupuncture for subacute and chronic whiplash. Fu WL, Zhu X, Yu P, Zhang J. Analysis on the effect of acupuncture in treating cervical spondylosis with different syndrome types. Chinese J Integrative Med 2009;15:426-30. Liang ZZ, Yang X, Fu W, Lu A. Assessment of a traditional acupuncture therapy for chronic neck pain: a pilot randomised controlled study. Complement Ther Med 2011;19 Suppl 1:S26-32. White PL, Prescott P, Conway J.
Acupuncture versus placebo for the treatment of chronic mechanical neck pain: a randomized, controlled trial. Cleland JA, Glynn PE, Whitman JM, et al. Kanlayanaphotporn R, Chiradejnant A, Vachalathiti R.
Arch Phys Med Rehabilitation 2009; 90(2). Sillevis R, Cleland J, Hellman M, Beekhuizen K.
Andersen LLM, Hansen J, Burr H.
A prospective cohort study on severe pain as a risk factor for long-term sickness absence in blue- and white-collar workers. Efficacy and effectiveness of percutaneous tibial nerve stimulation in the treatment of pelvic organ disorders: a systematic review. Lin MNL, Liu JH, Zhang AP, et al. Needle scalpel combined with massage therapy and simple massage therapy for nerve-root type cervical spondylopathy: a randomized controlled analysis on 100 patients. Zhongguo Linchuang Kangfu 2004; 8(23). The effect of an analgesic mobilization technique when applied at symptomatic or asymptomatic levels of the cervical spine in subjects with neck pain: a randomized controlled trial. J Manual Manipul Ther 2009;17:101-8. Lau HM, Wing Chiu TT, Lam TH. The effectiveness of thoracic manipulation on patients with chronic mechanical neck pain - a randomized controlled trial. Matijevic-Mikelic VC, Matijevic M, Leovic D, Demarin V.
The effectiveness of the therapeutic ultrasound on the psycho-physiological functioning in patients who presented with neck pain. Dehner CH, Strobel P, Scheich M, et al. Comparison of the relative benefits of 2 versus 10 days of soft collar cervical immobilization after acute whiplash injury. Arch Phys Med Rehab 2006;87:1423-7. Rigato MB, Fortunato M, Giordano N.
Comparison between the analgesic and therapeutic effects of a musically modulated electromagnetic field (TAMMEF) and those of a 100 Hz electromagnetic field: blind experiment on patients suffering from cervical spondylosis or shoulder periarthritis. J Med Engineer Tech 2002;26:253-8. Vassiliou T, Kaluza G, Putzke C, Wulf H, Schnabel M.
Physical therapy and active exercises - An adequate treatment for prevention of late whiplash syndrome? Randomized controlled trial in 200 patients. Bonk AD, Ferrari R, Giebel GD, Edelmann M, Huser R.
Prospective, randomized, controlled study of activity versus collar, and the natural history for whiplash injury, in Germany. High-power pain threshold ultrasound technique in the treatment of active myofascial trigger points: a randomized, double-blind, case-control study. Arch Physical Med Rehab 2004;85:833-6. Hakgüder A, Birtane M, Gürcan S, Kokino S, Turan FN. Efficacy of low level laser therapy in myofascial pain syndrome: an algometric and thermographic evaluation. Helewa AG, Smythe H, Lee P, et al. Witt CM, Brinkhaus B, Liecker B, et al. Acupuncture for patients with chronic neck pain. Thorsen H, Gam AN, Svensson BH, et al. Low level laser therapy for myofascial pain in the neck and shoulder girdle. A double-blind, cross-over study. Ceccherelli F, Altafini L, Lo Castro G, et al. Diode laser in cervical myofascial pain: a double-blind study versus placebo. The effect of 300 mW, 830 nm laser on chronic neck pain: a double-blind, randomized, placebo-controlled study. Gur A, Sarac AJ, Cevik R, Altindag O, Sarac S.
Efficacy of 904 nm gallium arsenide low level laser therapy in the management of chronic myofascial pain in the neck: a double-blind and randomize-controlled trial. Ozdemir F, Birtane M, Kokino S.
The clinical efficacy of low-power laser therapy on pain and function in cervical osteoarthritis. Smania N, Corato E, Fiaschi A, et al. Juni P, Holenstein F, Sterne J, Bartlett C, Egger M.
Moher D, Fortin P, Jadad AR, et al. Completeness of reporting of trials published in languages other than English: implications for conduct and reporting of systematic reviews. Moher D, Pham B, Lawson ML, Klassen TP. Sutton AJ, Duval SJ, Tweedie RL, Abrams KR, Jones DR.
Empirical assessment of effect of publication bias on meta-analyses. Morrison A, Polisena J, Husereau D, et al. The effect of English-language restriction on systematic review-based meta-analyses: a systematic review of empirical studies. Int J Technol Assess Health Care 2012;28:138-44. Rubinstein SM, Terwee CB, Assendelft WJ, de Boer MR, van Tulder MW. Cochrane Database Syst Rev 2012;9:CD008880. Maitland GD, Hengeveld E, Banks K, English K.
Maitland’s Vertebral Manipulation. 7 ed. Toronto: Elsevier Butterworth Heinemann; 2005. The effectiveness of cervical traction. Graham N, Gross AR, Goldsmith C.
Mechanical traction for mechanical neck disorders: a systematic review. Australian Acute Musculoskeletal Pain Group. Evidence-based management of acute musculoskeletal pain. 2003. Abenhaim L, Rossignol M, Valat JP, et al. Spine (Phila Pa 1976) 2000;25:1S-33S. Sherman KJ, Dixon MW, Thompson D, Cherkin DC. Development of a taxonomy to describe massage treatments for musculoskeletal pain. BMC Complement Altern Med 2006;6:24.